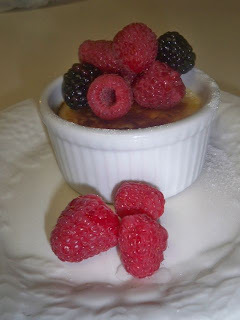 I was cleaning out my cookbooks this week and found one on creme brulee. When I saw the excited look on Rob's face I knew I'd be making some soon! 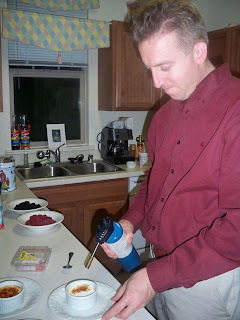 Rob enjoyed the good excuse to use the torch (oh, and he enjoyed the dessert too! ).